I'm not a fan of air fresheners, the chemical smell tends to give me a headache. But I do enjoy a fresh scent. 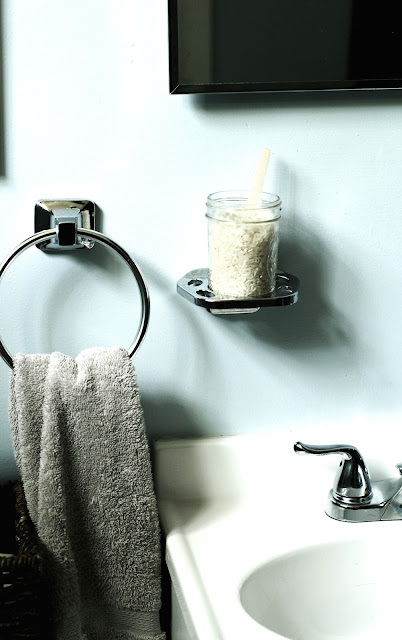 Our bathroom needed a little freshness and we already had this cup holder in place that we weren't using so I filled a small mason jar with white rice that was lightly saturated with lavender essential oil. Essential oils can be purchased online or at your local health food store. 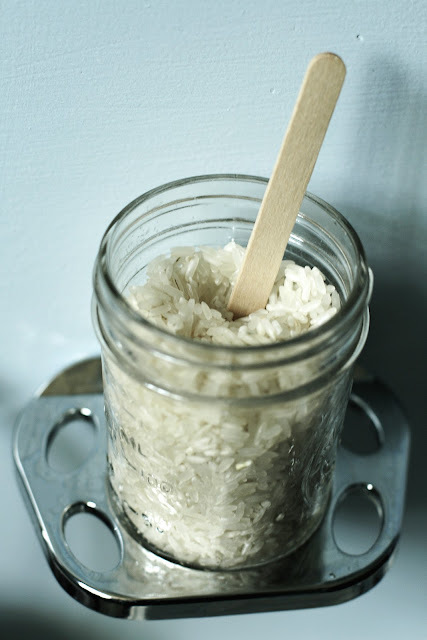 Every few days I stir the rice with a wooden craft stick to freshen up the room. A very inexpensive and healthy alternative to chemical air fresheners!